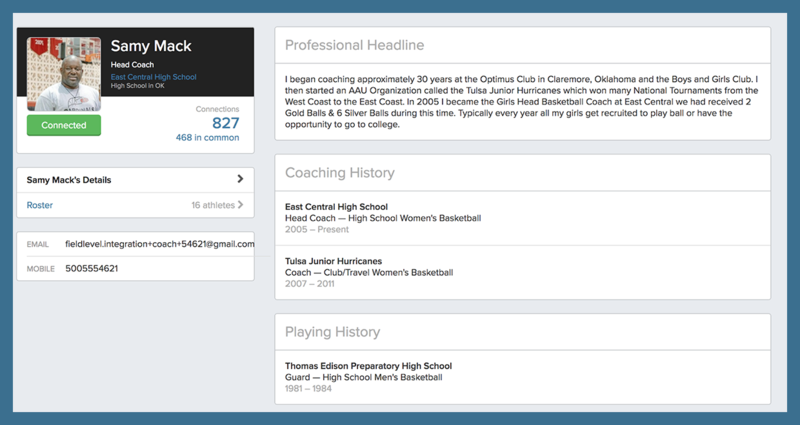 As a verified college coach on FieldLevel, you have the ability to connect with any high school, junior college and club/travel coach in the network. When you connect with a coach, you can exchange information on athletes and they can send you recommended athletes for your program. Every coach on FieldLevel has been verified by our team and we ask coaches to provide certifications of their athletes so you can evaluate their capabilities. 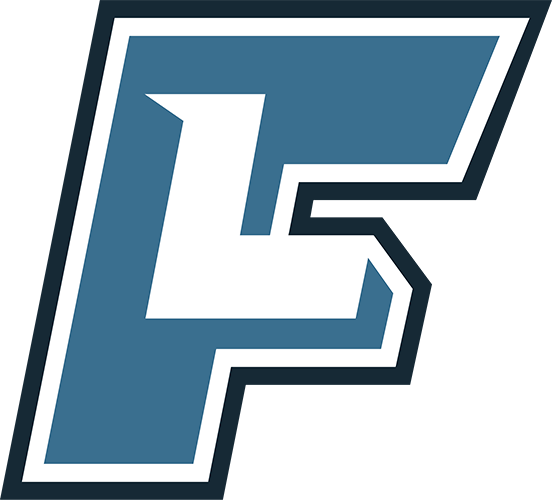 When you connect with coaches, you receive their contact information and can send them messages directly regarding players on their rosters. Your connections can only message you directly by sending you Athlete Promotions or by replying to your initial messages. Your coach connections can recommend players from their rosters who they feel would be a good fit for your program called Athlete Promotions. These athlete recommendations contain athletes' profiles along with personal notes from the coaches. 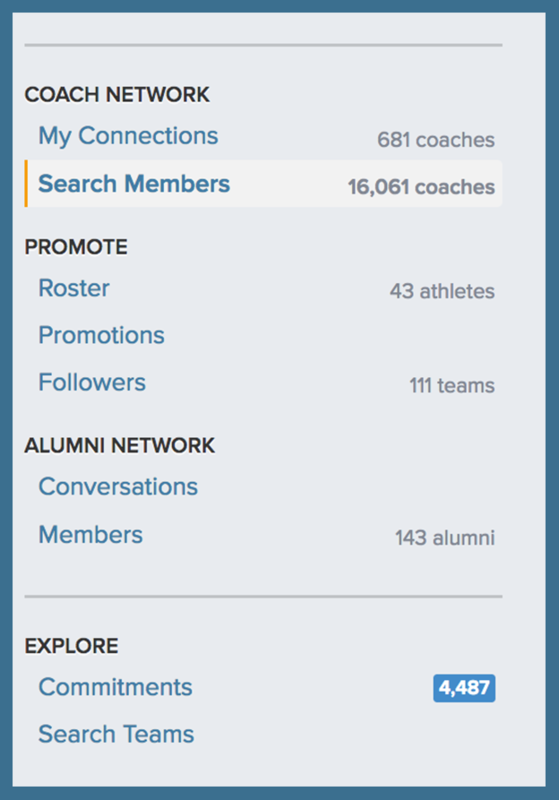 You can browse the network and start connecting with coaches by clicking the Search Members link on the left-hand side of your Dashboard.